EA has announced it is making the Premium Pass for Battlefield 1 available for free for a limited time. From September 11 to September 18, Battlefield 1 players will be able to get the premium pass at no cost, giving them access to all the additional content released after the game's initial launch. "Battlefield 1 Premium Pass is a great way for Battlefield 1 base game owners to play all the great post-launch content and whet your appetite as we enter mankind's greatest conflict in Battlefield V, come November," EA said on its website. 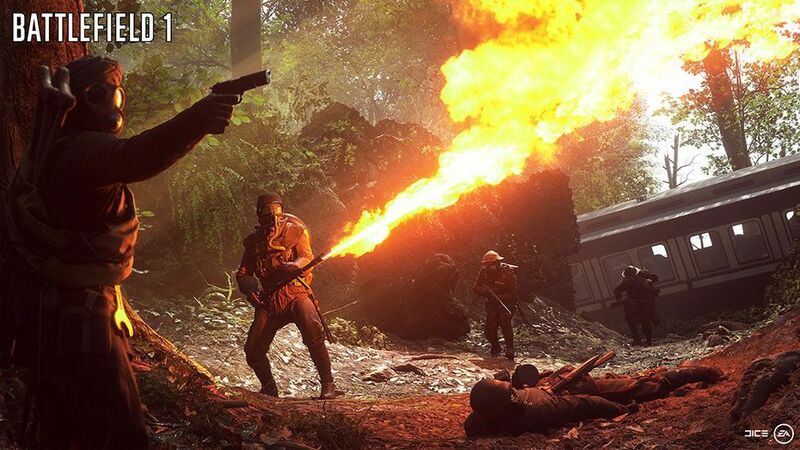 By playing Battlefield 1 (and Battlefield 4), players will also unlock content such as weapon skins and special tags for Battlefield V as part of the Road to Battlefield program. These items will play into Battlefield V's customization options, which allow characters to be outfitted with "soldier sets" that include camo patterns, head gear, face paint, and weapon skins. Although six of these soldier sets are included in Battlefield V's Deluxe Edition, two of them can only be unlocked through Road to Battlefield V.